Tue., Dec. 27, 2011, 7:03 a.m. ENDANGERED SPECIES -- The recovery program to restore the California condor in Arizona has reached its 15th anniversary this month with reason to celebrate. 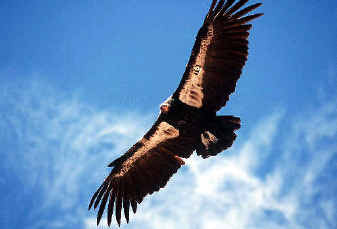 More than 70 condors are flying wild in the southwest skies. The Peregrine Fund breeds condors at its World Center for Birds of Prey in Boise and releases them to the wild at its release facility in Arizona. The fund monitors and treats them for lead poisoning and other problems.